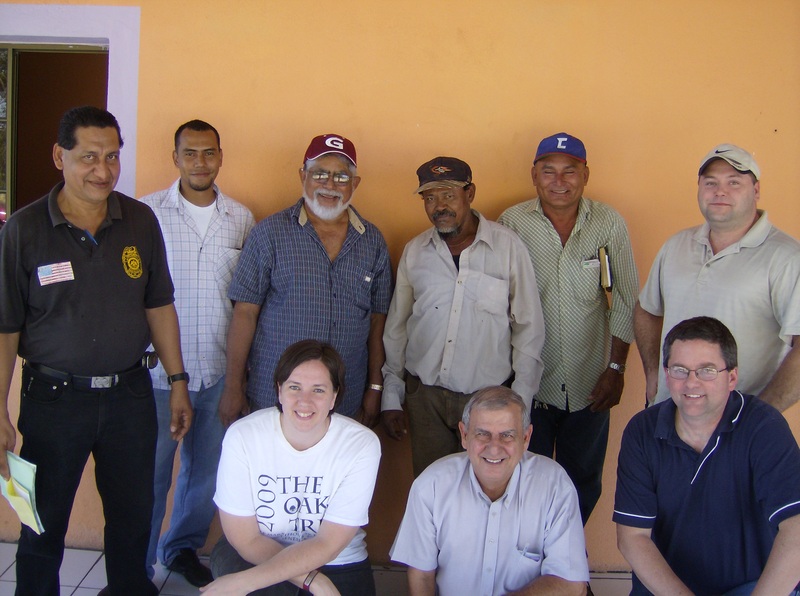 This past January we visited the Jubilee House and 2 of our 11 co-ops in Nicaragua. Once Again has worked with Jubilee House for more than a decade. 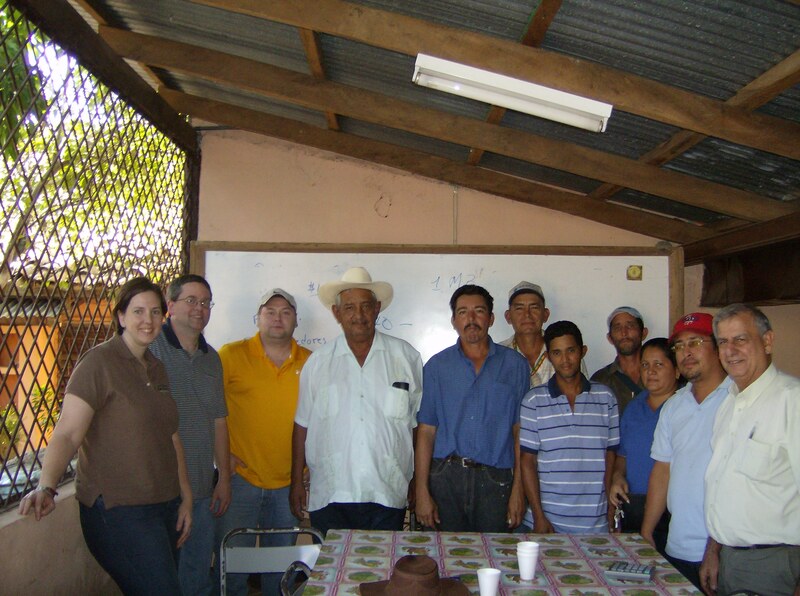 The Jubilee House is a 501c3 charity whose main purpose is to bring employment to Nicaraguans. About 12 years ago, Once Again with the help of Jubilee House, planted a few acres of sesame as a test plot in Nicaragua. Around the same time when the test plots were planted, Jeremy Thaler, the founder of Once Again, arranged for the purchase of sewing machines from Champion Products Inc., when one of its local facilities closed down. He shipped those machines to one of Jubilee House’s sewing co-ops. A few acres of successful sesame seeds planted 12 years ago, has now turned into the development of 11 farm cooperatives. Within each co-op, are more than 100 farms each, nearly 2000 farms total! Lloyd Kirwan, Purchasing Manager for Once Again, has been buying sesame seeds at world market prices, which has greatly enhanced the living conditions of the farmers and their families. Once Again has been engaged in Fair Trade initiatives before there was ever a Fair Trade Certification process. We are hopeful that this year, our sesame Tahini will be Fair Trade Certified. There is potential that you will be able to search on the product’s lot number and link to that product’s co-op on our website. We are really excited about this. In stark contrast of Once Again’s work, we saw banana growers and sugarcane workers in tents on strike. Living under plastic tarp, they are protesting against companies who have provided harmful pesticides for use on banana and sugar cane crops throughout Central and South America. These farmers have been on strike for 3 years in hopes of getting the medical attention they need! It was really tragic to see first hand the damaging environmental effects and, worse still, the diseases caused from non-organic farming practices. In addition, in our travels we came across a million dollar 6-acre facility that was developed for the garment industry. The building stood shining new, unused and abandoned. Apparently a tax write-off for some corporate giant; just a mile down the road was a community of some 15,000 people living in slums and open sewers, many unemployed, all in need of suitable housing and clean water. It was then that the importance of our work really became apparent. Once Again’s support of the farmer co-ops helps to insure collective bargaining to keep prices stable and farm workers from being taken advantage of. The purchases of our commodities are at a minimum, at world market rates, and more often than not, we pay above world market prices. The support we have shown our co-ops has improved the living conditions of small farmers, and provided them with a network and means of solidarity. In just over a decade we have supported the honored work of Jubilee House. We thank you for doing the same by casting your dollar vote for Once Again products through your purchasing decisions. Together, we spread integrity. Lloyd: So, you made it to Nicaragua! I wish I had known…I was there from the 9 th until the 28 th of January, a part of the time in El Sauce. Tell me about the El Sauce Cooperative!